Every year on the second Saturday of June since 1760, 1,000 soldiers on guard; 200 horse-drawn carriages; and 400 musicians gather for an event called Trooping the Color. Queen Elizabeth II was actually born on April 21, but the fancy event marks her “official” birthday. The Queen travels with 34 people. These include staff from the Master of Household department, a royal doctor, her private secretary, two dressers, a hairdresser, a valet, two ladies-in-waiting, press officers, an equerry for military liaison, eight police bodyguards and the Foreign Secretary and his or her staff. The Queen has weights sewn into the hemlines of her skirts and dresses. This is to prevent her clothes from flying up because of the wind. A royal doctor always accompanies the Queen in her travels and has a defibrillator and emergency medicine on hand. The doctor also brings packs of blood that matches her blood type if ever she’ll be in countries where reliability of blood supply is questionable. When the Queen was in labor with Prince Charles in 1948, her husband, Prince Philip, wandered around the palace grounds and even played some games of squash. This is because back then, it was customary for a royal birth to be an all-female event. But this protocol has been broken since Prince William's birth. Duchess Kate stepped out with her newborn Prince George for the first time wearing a light blue polka dot dress. It was a subtle tribute to the dress that Princess Diana wore after Prince William was born. According to a YouGov poll, Charles is the least favorite royal family member by far. Only 36% of the people polled found him to have a positive impact on the monarchy. Charles’ lower rating may have something to do with his failed marriage to Diana. Experts claimed that the people still haven't forgiven the Prince of Wales for that. 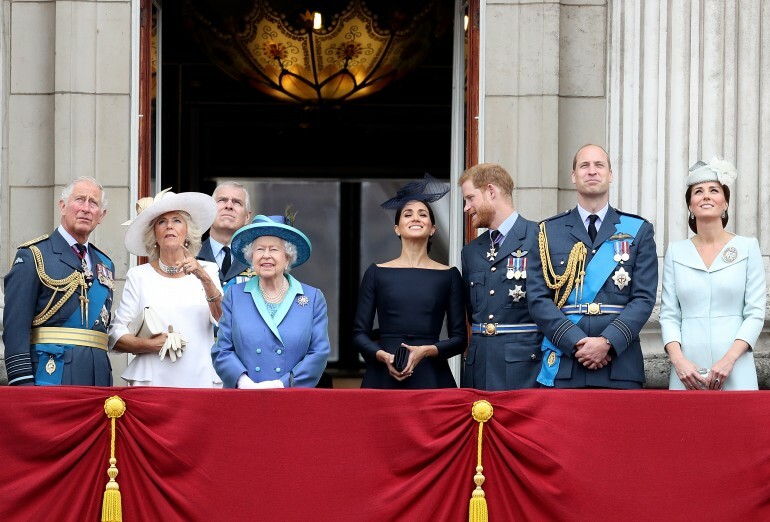 Several members of the royal family have distant familial ties, according to their family tree. It turns out that Queen Elizabeth and Prince Philip are actually third cousins. Queen Victoria and Prince Albert are their great-great-grandparents. A documentary about the royal family was shown back in June of 1969, though it was ordered off the air shortly after. Queen Elizabeth and her advisors thought that showing the royals’ everyday life to the public could be too dangerous. To keep the royals’ luggage organized, royal aides use a color-coded luggage tag system. The Queen gets a big yellow tag labeled “The Queen,” and Kate sometimes gets the same color. Charles and William get red, Princess Anne has green and Prince George gets blue.